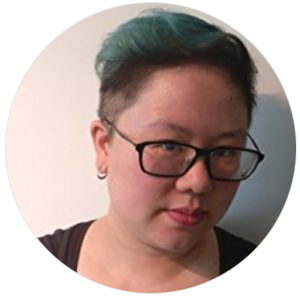 Renee Cheung / wired crow – I am an User Experience practitioner, focused on building simple, considerate and beautiful experiences for human beings. Hi, I'm Renee, aka wiredcrow. I focus on building simple, empathic and inspiring experiences for human beings. I believe a good experience is one that is thoughtful and human. I believe achieving business objectives and designing good experiences for end users go hand in hand. I believe the only way to accomplish both is through true collaboration and in being thoughtful and human ourselves in how we work. Through my career, I have been a bridge between technology and business. And in the process, I have also been a relationship builder. Whether it be managing large information-focused sites, created light-weight web applications and led large-scale intranet and internet projects, I seek to understand and create from that understanding. Through these experiences, I have and continue to hone my craft in user-centered design, storycrafting and strategy development. In addition, I also love books and movies (sci-fi and fantasy), gaming (video, board, tabletop) and food (cooking, baking and eating). I am also a published writer in the fantasy genre. In what little spare time I have, I can be found wandering my hometown (Vancouver, Canada) with my partner and toddler in tow. Read more about my experiences. And I'll get in touch as soon as possible.